THE crusade to save an historic hall has been given long-range support by a concerned Advertiser reader—6,000 miles away in Oregon, USA. 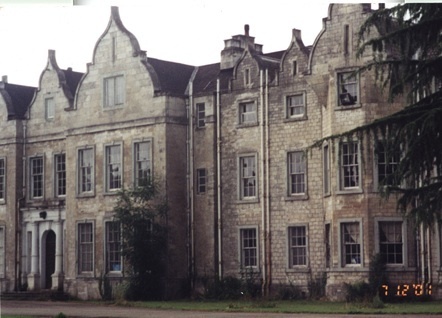 School teacher Barbara Beck, from Portland, is directly related to the Gally-Knight family who once owned ancient Firbeck Hall. And when she heard that concern was mounting over the future of the Grade Two listed building, she threw her support behind moves to save it. Barbara, a single mother of four, fell in love with the crumbling hall when she visited in 2001. Now she would like to see it restored, possibly as a country hotel or a living history centre with a cottage industry shop and restaurant. She contacted the Advertiser after reading our story about fears over the hall's future. Local history and conservation groups say it could be razed to make way for housing. Since then Mr Saint has refused to comment on plans for its future use—giving rise to local speculation. Said Barbara, who lived in England for nearly three years: "My relationship with Firbeck Hall started several years ago when I went through some family documents that mentioned the hall. "They came from an ancestor directly related to the Gally-Knight family, John Cruso. I also inherited some Crown Derby china that might have been used at Firbeck Hall at one time. "During a trip to take a summer course at Cambridge University in 2001, I made my way up to Firbeck and had a chance to visit the hall, which I found to be in a disturbing condition. "Old paint hung in threads off the ceiling and the estate showed signs of neglect and abuse. Threadbare carpet squares lay haphazardly over once shining floors where the rich and famous once walked. "I visited several of the Firbeck residents and was very impressed with their warmth and concern about the hall. "Touring it gave me a definite feeling of familiarity, with layers of memories from so many generations of relatives that had lived, slept, been born, and died in this incredible historical estate. "My vision of the future of Firbeck Hall estate includes a well-run hotel or family estate, a school or living history centre complete with a cottage industry shop and restaurant, featuring excellent Yorkshire fare. "I can imagine a future May Day celebration at Firbeck Hall as a regular event—not to be missed for miles around—with proceeds being raised annually for the Firbeck Church and area charities. But of course these are dreams. "The hall's history is as part of the village of Firbeck. This ancient estate deserves a second chance to be an integral part of the community again. I know the villagers and many others are concerned by the lack of care of this amazing estate." Roy Newman, chairman of both the Laughton and District Conservation Society and the Dinnington History Society, said: "The fear of people in Firbeck is that it could disappear in one way or another. "It's a wonderful building, but someone could make a lot of money if it was not there and the site was available for housing. "I would love to see it restored and used as a nursing home, hotel, or even converted into apartments, because it stands in beautiful grounds. "We have voiced our concerns with Rotherham Borough Council, which shares our belief that the hall should have a future."